1841 – The census for 1841 showed John Kiff aged 75, to be living at what we now know as Dell cottage. In the early 20th century it was known as Kiff’s farm. 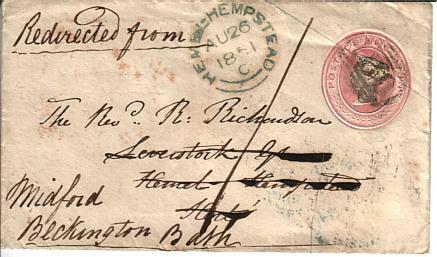 1843 - The Tithe apportionments for Hemel Hempstead and St. Michael's were published. Click here to go to seperate web page concerning the survey. "In consequence of an opinion having prevailed generally among landowners, clergy and gentry residing in the neighbourhood of St. Albans, Abbots Langley and Hemel Hempstead, that the district in and about Leverstock Green was insufficiently provided with Church Accommodation...."
The village of Leverstock Green is situated on the road from St. Albans to Hemel Hempstead, and the three parishes of St. Michael's St. Albans, Abbots Langley, and Hemel Hempstead unite at that point; from their respective churches of which Parishes it is distant from two-and-a-quarter to three-and-a-quarter miles. It is proposed to erect a church upon Leverstock Green capable of accommodating about 400 persons and to attach to it a District containing such portions of the three adjoining Parishes as lie within a convenient distance in every direction from the new church. Within this district, there is a population of not less than 1000 souls who have hitherto been unprovided with church accommodation; for independently of the difficulty of attending Divine Worship at their Parish Churches, which arises from the great distances at which they are situate, these churches are barely sufficient for the accommodation of the nearer residents. As the greater part of the population for whose benefit this undertaking is commenced are the labouring poor, it is intended that nearly the whole of the sittings shall be free and unappropriated. It is proposed that the so united portions of the three adjoining parishes shall form a separate and distinct Ecclesiastical District." After that a list of subscribers was appended, ranging from £2 to £1,500. The Earl of Verulam gave the land on which both the church and the Vicarage were to be built. 1846 The National School for both boys and girls, was built in the village in Bedmond Road,. ( opposite to where Holy Trinity Church was later built,.) The school was built solely at the expense of the Rev. Edward Oswell, the curate of Abbots Langley, and cost about £200. It had originally been proposed to adapt an old Methodist chapel for the purpose ,until Mr. Oswell came forward with his offer. He had apparently purchased a copyhold site on which to erect the school. ( Copyhold was not quite the same as freehold, as copyhold rights could be terminated at the will of the Lord of the Manor. This form of tenure persisted into the 1920's, but was finally done away with by The Law of Property Act, 1925.) This copyhold was not conveyed to trustees as Mr. Oswell wished to be able to withdraw the building and make it available for other purposes in the event of new schools being erected at a later date. The school was united to the National Society, and the Society made a grant of £10 towards fitting it out with seats and benches; the building was used for Divine Service on Sundays before Holy Trinity was built. Education was not free, parents had to pay 2d a week for each child until 1876. Log books for the very early years of the school do not appear to exist. 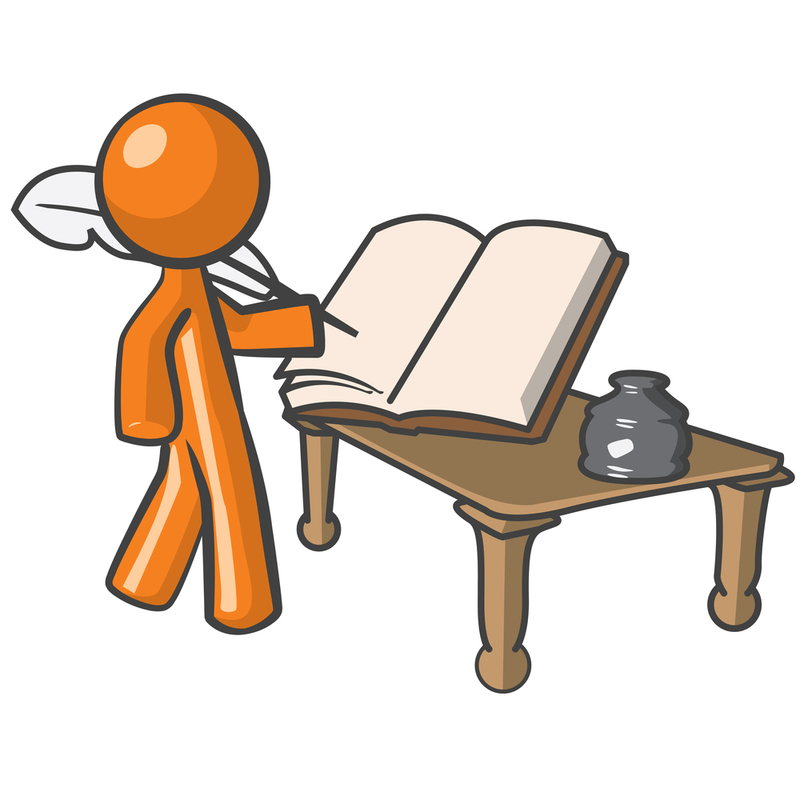 The first recorded log we have is for 1863, when the first government grant was received and it became compulsory to keep one. 1846 A Teacher's House was built in Bedmond Road, paid for by public subscription. The exact date it was built is uncertain, though possibly 1833. The return to the National Society's Church Schools Enquiry of 1846/7 records the existence of a teachers house. 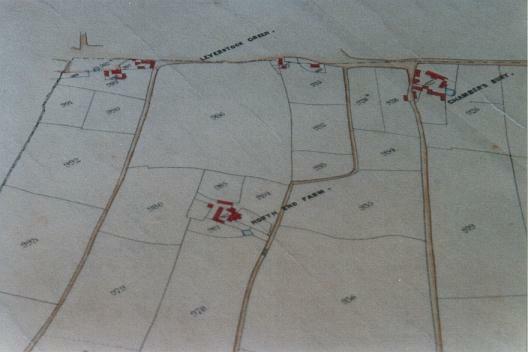 ( See earlier entry for 1833 ) The house itself is supposed to have been erected on Manor waste land, and in 1970 there was no known instrument of title. Still standing today it is known as "Old School House". [S77;S27;S36 p.107,S46] For a picture of the school in Victorian times click here. "The Mason will be expected to make his own arrangements as to the supply and cost of flints. He being allowed to use those already collected - about 250 loads - at the price of 4/6 per load." The church was consecrated on the 30th October, by the Lord Bishop of Rochester. Its erection originated in the munificence of the Earl of Verulam, who presented the site, and a large sum towards the cost of the building. The edifice is constructed in a substantial manner, and consists of a well-designed chancel, with vestry on the north side; a nave, north and south aisles, and south porch. The bells are hung in a double bellcote, at the west end. The style of the architecture is of the early part of the fourteenth century. The body of the church affords accommodation for four hundred persons in open benches; but at least six hundred were present on the day of the consecration. After this impressive ceremony, the service of the day was performed by the Rev. Mr. Hutchinson: and an excellent sermon was delivered by the Hon. and Rev. 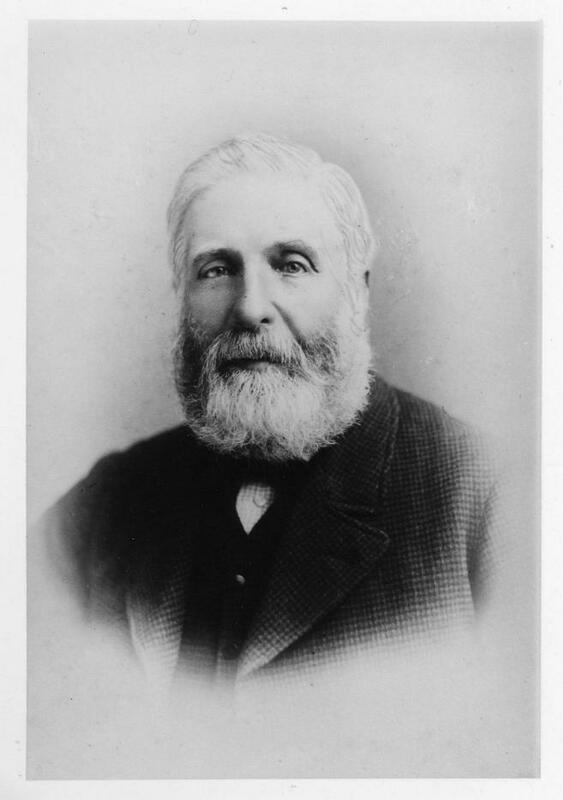 Edward H. Grimston. The design of the church, which has given universal satisfaction, was prepared more than three years since by Messrs. Raphael and J.Arthur Brandon, and has been carried out by the elder after the lamented decease of his brother. Adjoining the church is the Rectory House, also built from the design, and under the superintendence of the same architect: it is a commodious and appropriate structure." 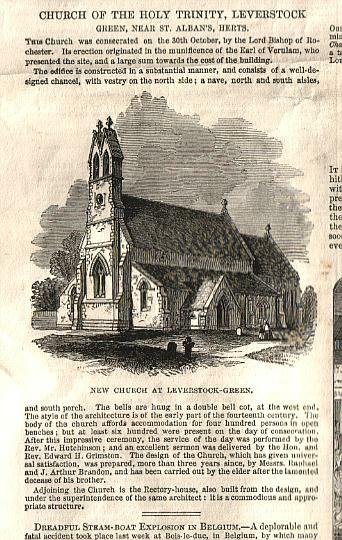 The report included a charming engraving of the New Church at Leverstock Green, though the artist got carried away including gravestones which would not at the time have been present. An original copy of the press report is hung in the vestry, and the author is fortunate enough to have been given another copy. [ Illustrated London News,10/11/1849 ] For a look at the presscutting from the Illustrated London News, click on the thumnail below. The engraving below is the original (hanging in the sacristy) upon which the one in the ILN was based. Kellys Directory for 1850 gives very scanty detail on Leverstock Green. There was no individual entry for the village, and no obvious entries in the Abbots Langley section where they were to be found in a subsequent copy of the directory. To add to the difficulties, certain pages in the directory had been left out when it had been bound together, and these included a section listing the Tile and Brickmakers, of whom I would have expected there to be at least two or three!! I can only conclude that the publishers of Kellys worked several months ahead of their dates, and if the village in question was not a parish then it was excluded. In the case of Leverstock Green , this was despite the fact that there was a thriving industrial community, albeit a small one. Another anomaly, was that although when listing areas of Hemel, such as Boxmoor, it excluded Leverstock Green or Bennetts End, it did include Buncefield, which it noted was 2 miles East of Hemel Hempstead. nothing but stagnant pools. Here and there an old tub was put to catch the droppings of rainwater from a roof, or they were banked up with mud into a little pond like a large dirt-pie....... "
....." Is my daughter a w-washin? Yes, she is a-washin. Look at the water. Smell it! That's wot we drinks. How do you like it, and what do you think of gin instead! Ain't my place dirty? Yes, it is dirty - it's nat'rally dirty, and its nat'rally onwholesome......."
....."It was Saturday night; and most of the people belonging to the place where we were going, were drinking elsewhere. We found it quieter than I had previously seen it, though quite as miserable. The kilns were burning, and a stifling vapour set towards us with a pale blue glare." According to Norah King's book "The Grimstons of Gorhambury", Westwick Farm was purchased by the 2nd Earl of Verulam in this year. The property was in a bad state of repair, and so the Earl had it demolished and the present farm house built. The footings of the Tudor house were discovered recently during the building of an extension. Some details are included in the section for Kings Langley, which also includes Abbots Langley, and a brief paragraph saying that Leverstock Green exists and where it is, also appears under the st. Albans Entry. Two or three individual entries, not actually listed as Leverstock Green, also appear under the entry for HEMEL HEMPSTEAD (for example Cox Pond). The evidence concerning the school is also contradictory as previous information firmly stated that the school was recorded in the National School register in 1846 (see entry for that date), whereas in the 1855 directory, the school is given as belonging to the Weslyan persuasion. More research is required to try to establish the facts. However, buy the time of the 1860 entry, when details were still given under Abbots Langley, it was given as being a National School! 1860 - Kellys Directory of Hertfordshire for this year gives quite a lot of information about Leverstock Green. The entries are generally under the main entry for Abbots Langley, although one or two individual entries are made under various commercial headings, but not included in the Abbots Langley entry. It tells us that there were four public houses: The Leather Bottle, whose proprietor was W. Wingrave. He was also listed as being the village butcher. Did you go to the pub to buy your meat I wonder? ; The Masons Arms. proprietor Jason Dell; The Red Lion, proprietor William Ward, and The Rose and Halswn, proprietor Henry Seabrook. In addition several others were listed as beer retailers: William Cormack, George Dell, Edward Rawson and Thomas Hosier. 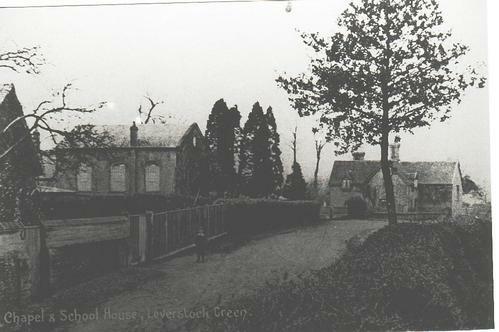 The principal residents of Leverstock Green were considered to be the Rev. 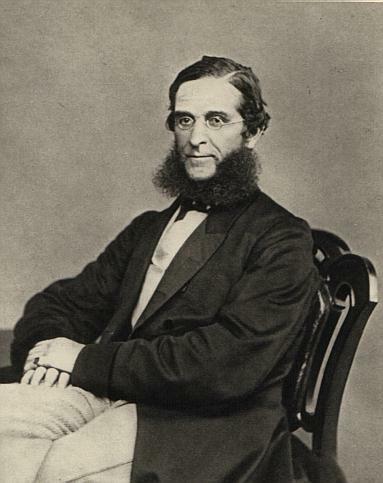 Robert Helme. M.A. 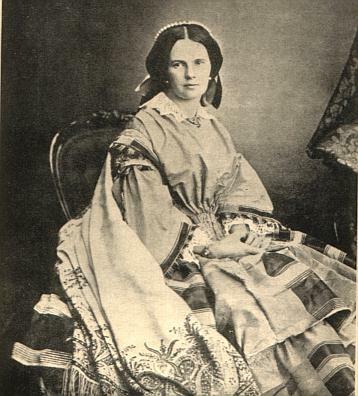 (Vicar of Leverstock Green ), Mrs. Key, who lived at Chambersbury House, and the Rev. Thomas Orchard, the Baptist minister. There was a National School for both boys and girls, run by Miss Helen Purvis. There was a post office, with John Child as the receiver. Letters arrived from Hemel Hempstead at 8 a.m. and were dispatched at 6.15.p.m. As I understand it you would collect your mail in person from the receiver rather than having it delivered to the door. John Child was also listed as being a wheelwright. The village smithy was Thomas Pointer, who presumably lived and worked in what is now called Blacksmiths Row. Several farmers were listed: John George of Coxpond Farm; William Smith of North End Farm; Joseph Smith of Leverstock Green farm, and Thomas Kingham. Thomas Cooper was listed as being a hay dealer. TRADERS: Sarah Cartwright ( Miss), schoolmistress Leverstock Green; Thomas Cooper, hay dealer, Leverstock Green; Thos Mawe, The Rose & Crown, Leverstock Green; Alfred Orchard, farmer, Well Farm; Thomas Orchard, farmer, Hart Hall Farm; Thomas Pointer, blacksmith, Leverstock Green; William Sherwood, farmer Hill Farm; Joseph Smith, farmer, Leverstock Green; William Smith, farmer, Northend Farm. PUBLIC SCHOOLS: Wesleyan, (for boys and girls), Leverstock Green, Miss Sarah Cartwright, mistress. Click on the above thumnails to view the architect's drawings of Holy Trinity. PHotographs by Barbara Chapman of HALS documents D/E Md 27 and reproduced here under licence and with their kind permission. Tithe Map extracts. Photographed by Barbara Chapman from documents held at HALS and reproduced here under licence with their permission.